Public colleges and universities are schools that generally offer four-year bachelor’s degrees to students across a variety of fields and majors. These institutions are partially funded through state and federal funds, which often results in lower tuition costs for students who live in-state or in-county. They also typically have larger student bodies than their private school counterparts. Because of this scale, public schools are able to offer more resources, a vibrant campus life, and very well-equipped libraries and classrooms. While class sizes during the first year of study may be relatively large, they often pare down as students pursue more specialized classes in line with their major. Keene State College and Plymouth State University are just two of the public universities in New Hampshire that offer all of these advantages. At these schools, students can pursue a bachelor’s degree in nursing to become a registered nurse at a much lower cost than it would take to earn the same degree at a private university. Many employers, such as Concord Hospital and Exeter Hospital, prefer to hire registered nurses who own bachelor’s degrees rather than associate’s degrees, given their longer training and greater opportunities for hands-on experience. Upon receiving a bachelor’s degree in nursing, students at many public schools have the option to pursue more specialized training through a master’s degree program. As a registered nurse in New Hampshire, graduates can expect to make an average of about $62,000 annually. 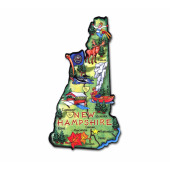 You can find the nursing education that’s right for you by consulting our list below of New Hampshire’s public nursing schools.